Punting mechanics can be coached and developed like any other skill in football. Coach Bill Renner gives you five specific drills to develop height, distance and directional control of the punt. This is Coach Renner&#x2019;s unique coaching drill sequence that he has used to develop high school, college and NFL punters over the past 25 years. It has been proven to be effective for punters starting at any type of skill level. Doing these five drills in this drill sequence is a combination that will develop the punting skills of height, distance and directional control. Nothing is more important than doing the right drills that will develop the skills you need to be a successful performer. 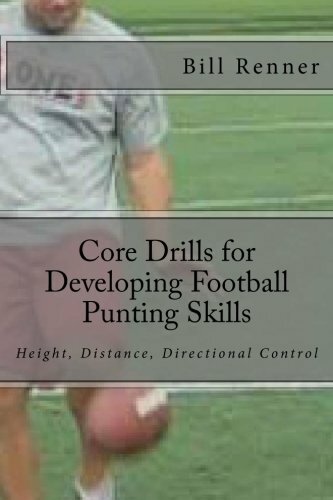 If you ever were uncertain about what punting drills you should do to become better this book, Core Drills for Developing Football Punting Skills, will relieve those concerns.